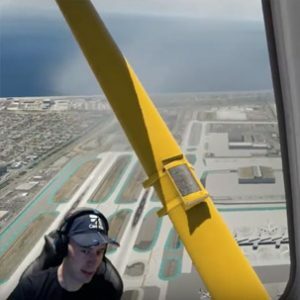 The UncertifiedPilot is officially partnered with SimCoders to co-promote serious, small GA flight training in X-Plane 11. SimCoders recently posted a blog post about our partnership. 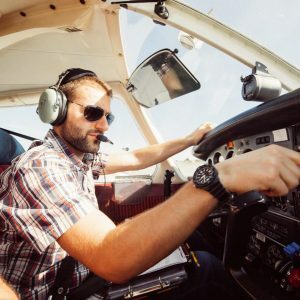 Today, I share the news at UncertifiedPilot.com as well. As you know, I consider myself a student pilot. That means that I’m all about the excitement of learning to fly in the sim. The Reality Expansion Pack by Simcoders is made for us student pilots. It provides me with ever more opportunity to master and enjoy the intricate skills of flying small GA aircraft, particularly the C172. Simcoders brought my Skyhawk to life, essentially. It excites me to see Simcoders enabling flight simulator training this way. That is why I feel proud to team-up and together promote the thrill and opportunity of modern-day home flight simulation to develop real-world flight skills at home. To introduce SimCoders to you, I asked Claudio (CEO at SimCoders) several questions about his personal background and his work at SimCoders. Make sure to check out their products. First, what is Simcoders about and how is it doing as a business? SimCoders was born with the mission of providing a tool to real world pilots useful to develop and maintain their airmanship. Every general aviation pilot experience times when he cannot fly as much as he wants. In those moments, PC-based training can be of great help. 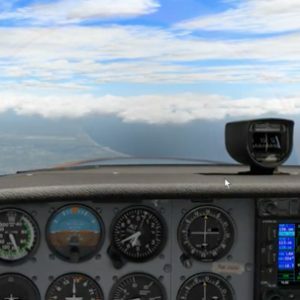 SimCoders main goal is to provide a simulator that requires the pilot to pay attention to many different aspects of flying a complex airplane. That is, developing and maintaining skill-based behaviors that allow the pilot to better manage his attention during real world flying. What is your background in aviation and FS? I started flying with Flight Simulator when I was about 6. When I was 14 I started some programming courses and that was a huge leap forward to the plugins/sceneries world for me. I got involved with theItalian flight simulation community and published various add-ons for MS Flight Simulator. In the Italian community I met some real world pilots that invited me to fly with them at the local flying club. I was 18 at the time. I decided to start training as PPL the same day. In the meantime I was attending university courses so flight simulation stepped aside for a while. When I came back to FS I found that many things had changed and that X-Plane was getting better and better. I’m a Linux guy and the fact that X-Plane runs on it was a great discover to me. @Tim: Flying the REP is a blast. 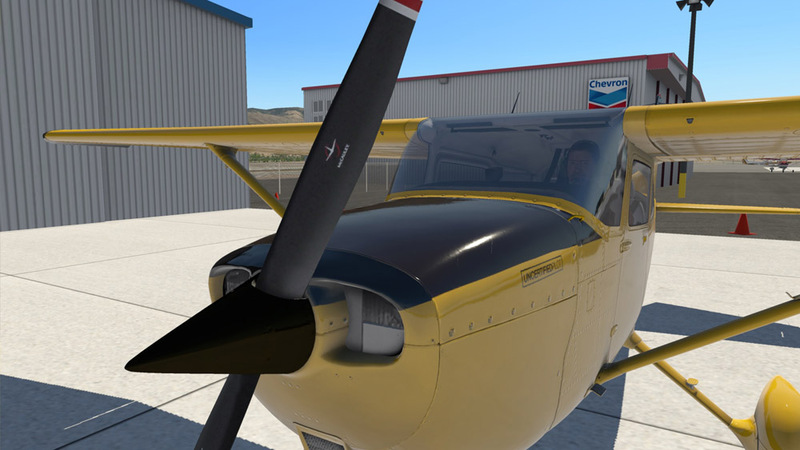 Realistic flight dynamics, engine behavior, and failures make REP a must-have addition to your sim. Then I had some ideas about HeadShake and started working on it. I learned that the plugins SDK is really powerful. I was on summer vacation in 2013 when I started thinking about something like REP. When I got home I started designing it and then the rest is now history. I put SimCoders.com website online and REP 1.0 came out one year and a half later. I never stopped working on it since then. In the meantime I logged a lot of hours as PPL. I flown many different aircrafts (such the F22C “Pinguino” and the SF-260 among others). This was of great help while working on REP, of course. Years 2015 and 2016 brought many changes into my life and I asked myself what I really wanted from the years to come. I was 28 so it was my last chance to become a professional pilot. The choice was pretty straight forward so I started my ATP training and I’m now halfway to fulfilling my dream! How did Simcoders start, in the old days? I was looking for a way to get back to C++ after few years of work with other languages. There was nothing serious about it, at first. I was just playing around with the plugins SDK. Then I fell in love with it and HeadShake was born. I started SimCoders when I found out that something good could came out of it, and it did! I was also looking for a way to train at home so to keep my automatisms current when I cannot fly for a long time. I’m a great fan of the A2A’s work and missed it in X-Plane so I decided to do something similar for my favourite flight sim. What is the most gratifying feedback you received so far from customers using REP? I receive a lot of feedback from users and many of them are really great. I like when real pilots who fly a REP aircraft in real life report that REP provides much flight realism and training support in the sim. Can you tell us about what processes are involved with creating new REP versions? There isn’t a typical working week. At the moment, I work part-time for a local IT company and then I invest the remaining time on SimCoders and my ATPL training. There are periods of 4-5 weeks during which I work hard on some new code to release a new REP, then a resting period of another 4-5 weeks where I work on new ideas, do some tests and relax a bit. When I start working on a new package, the first thing I do is collect data. Tons of data, actually. @Tim: I fly the REP every time I fly my sim. The REP product is regularly updated by SimCoders based on customer feedback and new technological advances. If the package is going to target an existing aircraft (such Carenado’s) I also study the 3D model and possibly the involved SASL code, in order to better understand how I can interface my code with the airplane. Then comes the hard part. I write the code, record the sounds and tweak the flight model. Once I think the work is almost done, I start the beta period with about 15 beta testers. It usually lasts for a month or so, during which I fix the bugs. When the beta testers are happy, then the package is released! What are you looking for in X-Plane’s future development that would better enable Simcoders to improve/expand on REP? All I need, actually, is more datarefs – especially to control the engine parameters (a ‘dataref’ is an X-Plane internal value that can be modified by a programmer in order to change the simulator behavior). Once I get that, I can work on my own code and interface it with X-Plane more naturally. At the moment there are tons of datarefs available but not many of them are really useful if you want to work on a very complex project like REP.
What excites you most about the partnership with UncertifiedPilot? The most beautiful thing about our partnership is that now there’s someone who showcases the Reality Expansion Pack to tons of users almost daily. Also, looking at your videos I can better understand which are the features of REP that are of interest to the users. The latter is what thrills me more, actually. I’m not a user experience expert and that is my greatest flaw as a programmer, I think! Any other final thoughts you like to share? The last three years have been the most exciting. When REP started, it sold few copies the first month but it was all about getting people’s trust. Now we have a greatly recognized product that is getting better and better with each release. If I look back to the screenshots and videos of REP 1.0 I see that it was a ground breaking thing for the time, even though it was quite primitive. There was nothing like that for X-Plane back then. It actually forced other producers to raise the bar! Thank you so much Claudio for sharing your story with us. We’ll look forward to SimCoder’s upcoming REP versions! Hi Tim, amazing – looking forward to book a lesson. Let me know what is convenient.